If you follow the Charlotte Mason way of home education, then you know that handicrafts are a wonderful way for children to learn and create. 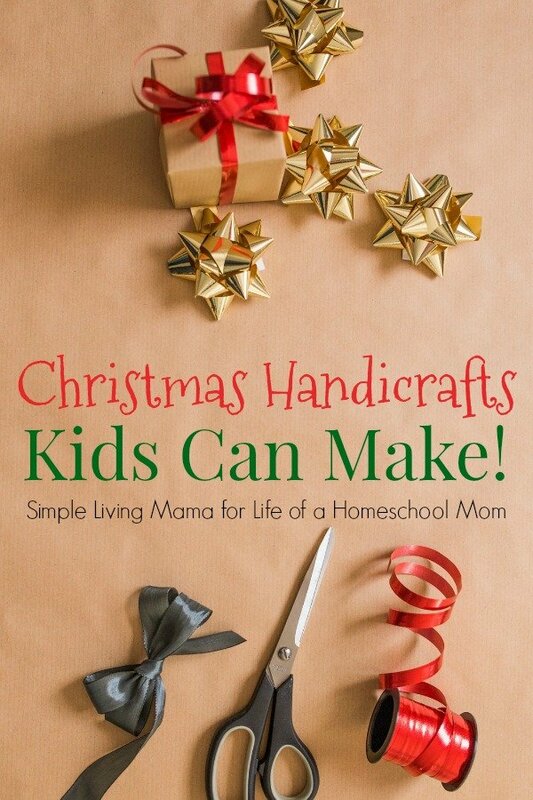 Christmas is absolutely the perfect season to begin working on handicrafts with your child. You can use your handicrafts to decorate your home or to give away to friends and neighbors! Buy clear plastic ornaments and make a handprint ornament. Children could also paint Christmas trees or snowmen onto ornaments. Make salt dough ornaments and use cookie cutters to cut them out. Hot glue popsicle sticks in an upside down triangle and add a red nose and googly eyes for a Rudolph ornament. Make an old fashioned popcorn and cranberry garland for your Christmas tree! This would also make a sweet tradition every year. Other options include a cute garland made with paper plate crafts like these paper plate Christmas trees, garlands made out of candy, red and green paper chains, and garland made out of pom poms. Felt projects are always fun! 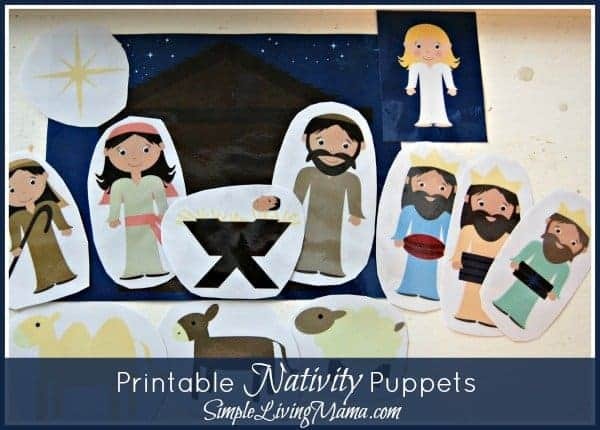 Use a felt board and these printable nativity puppets (cut and laminated with a piece of felt attached to the back) to recreate the nativity story. You could also put up a large felt tree on your wall and let your toddlers “decorate” it with cute felt ornaments. My daughter began learning hand embroidery at six years old. A simple embroidery kit could get your little one started on an adorable embroidery project that would make an incredible gift. Create simple candles that can be given as gifts! My family loves making homemade beeswax candles. They can also be used for your Advent wreath! My daughter loves creating cute little peg dolls. Create an entire nativity set out of peg dolls. Gather your children around you and let them help make a Christmas wreath for your front door. We love to make the mesh wreaths. Gift wrapping is an art in and of itself. Teach your children how to wrap gifts and let them wrap a few on their own. You can also teach them how to make bows to top the gifts! If you have a child who wants to learn to knit, have them start with knitting dish cloths. These projects are simple and go fairly quickly and will make amazing homemade Christmas presents! Don’t forget that simply baking with your kids can be a very educational and delicious handicraft! Make sure to share your goodies with your friends. 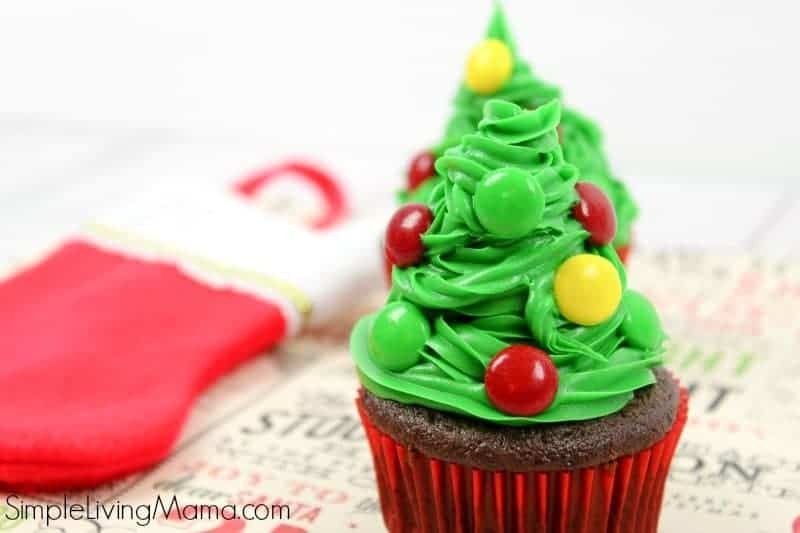 We love these Christmas tree cupcakes. They are festive and delicious! There are times I get really excited about creating these handicraft projects with my kids. I find all of these amazing ideas, but I don’t write them down and I forget about them! 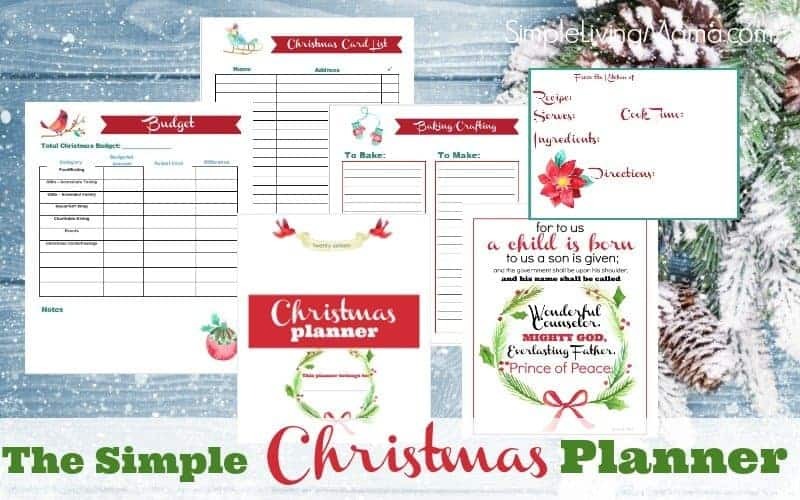 I started using this Simple Christmas Planner to help me keep track of all of our Christmas plans, including Christmas crafts! Have fun creating lovely handicrafts with your children this holiday season!